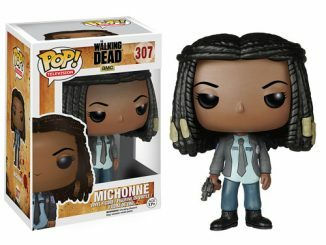 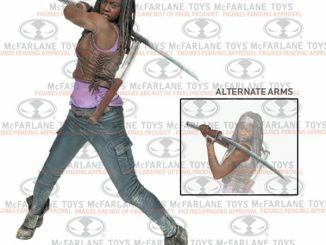 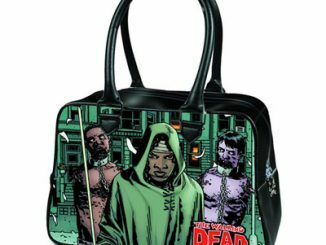 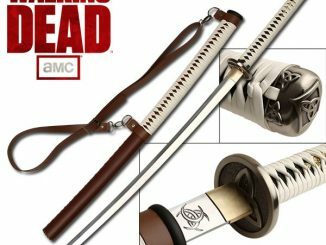 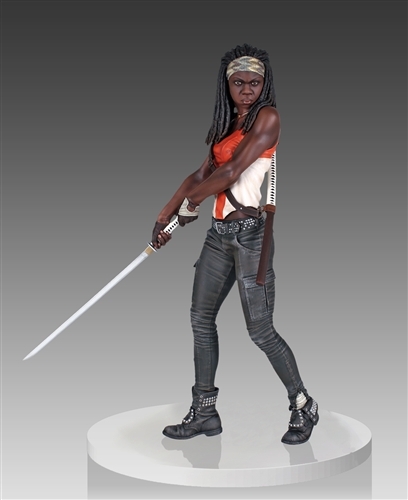 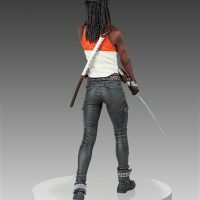 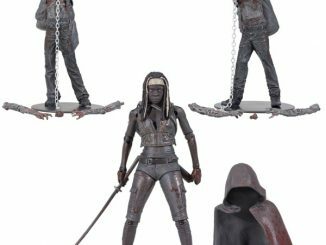 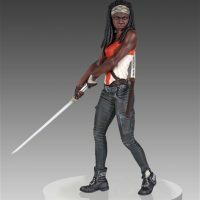 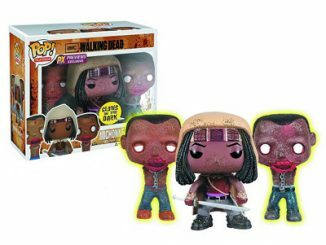 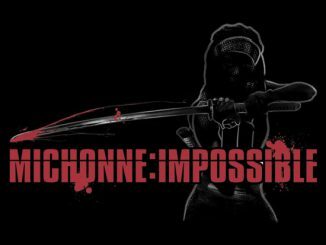 The toughest woman to ever swing a katana during the zombie apocalypse is captured in all her glory with the Walking Dead Michonne 18-Inch Statue. 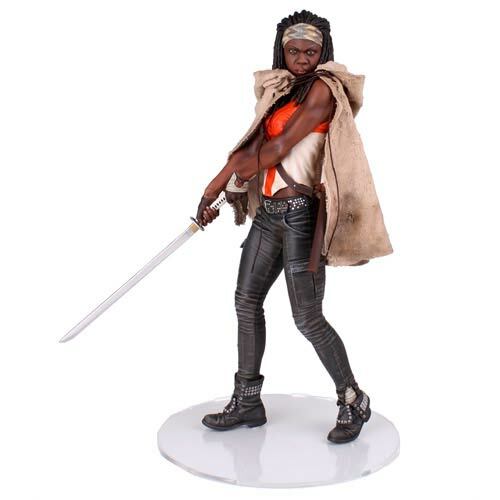 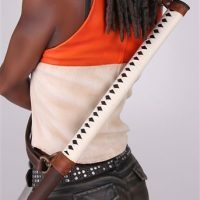 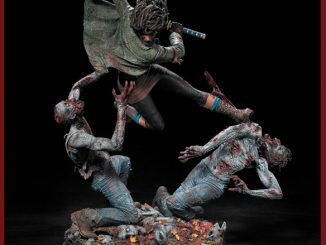 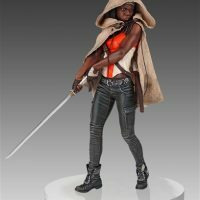 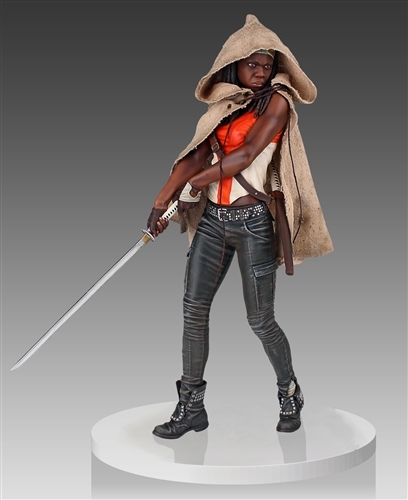 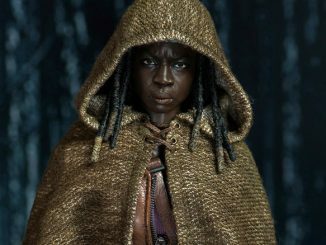 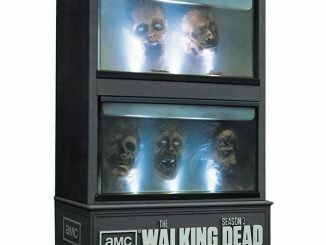 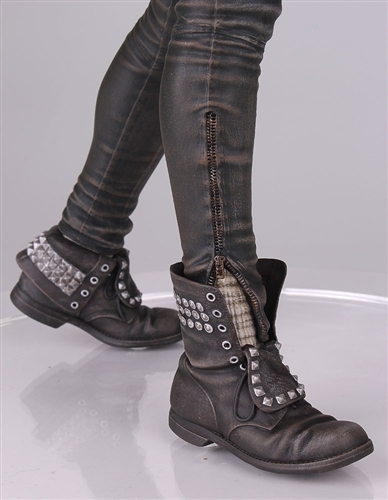 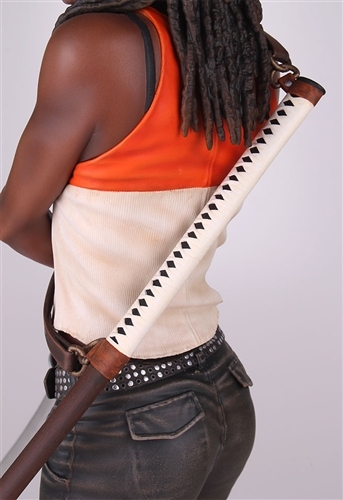 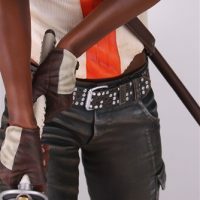 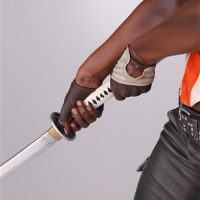 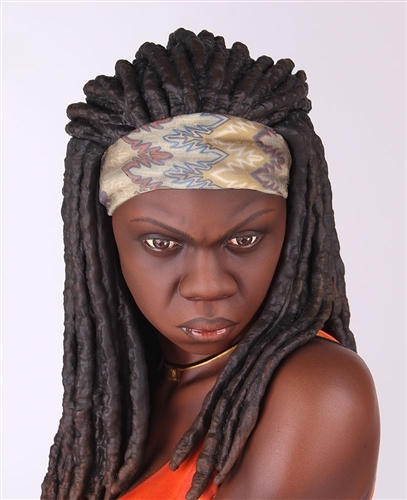 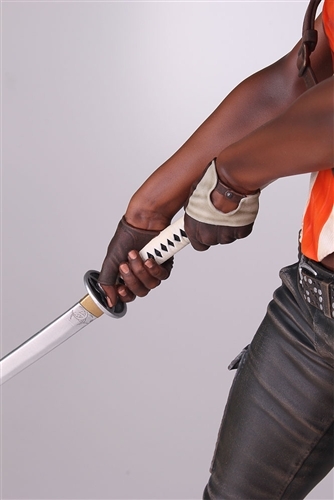 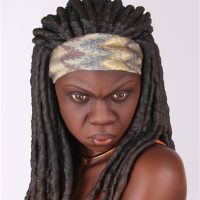 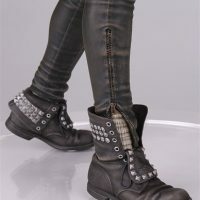 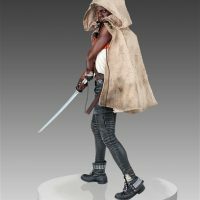 Actress Danai Gurira has done an excellent job of bringing Michonne to life for AMCs The Walking Dead, and Gentle Giant has done an incredible job of capturing her intensity with this highly-detailed, 18-inch-tall statue that features a metal sword blade and a real fabric cloak that allows you to give Michonne a variety of looks. 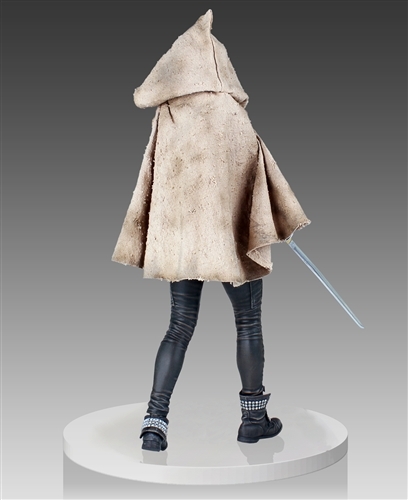 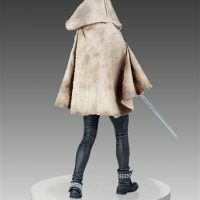 Keep her mysterious by cloaking her face with the hood or toss the cloak to the side and let her sport a casual look. 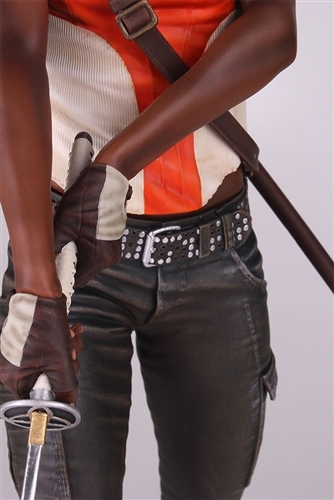 Each limited-edition polystone statue comes individually-numbered with a matching certificate of authenticity. 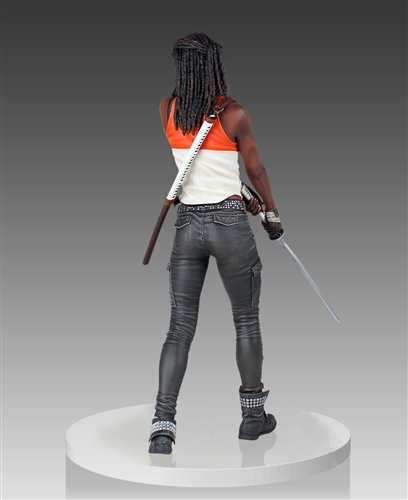 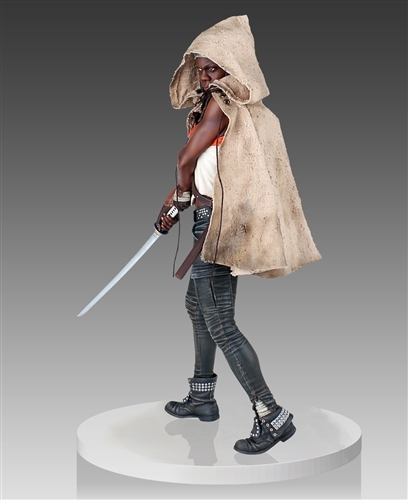 The Walking Dead Michonne 18-Inch Statue will be available October 2014 but it can be pre-ordered now for $399.99 at Entertainment Earth.